Miamii beach is a beautiful place for ocean souls, to escape the winter blues for tropical temperatures, to explore the white sandy beaches, and to swim in the turquoise blue ocean💙. So go with the waves to beautiful Miamii and explore all the lovely beaches, boutiques, and island adventures that this city on the beach has to offer. The only daily luxury you’ll need in your suitcase is a bikini and havaianas. 💙 A day on the beach: you can find beautiful beaches in Sunny Isles with oceanside hotels, chique spas and dream apartments like Jade Ocean and Marenas. In South Beach you can photograph all the colourful beach houses along the coast, enjoy a chique lunch at Nikki beach, and take a bike ride through the art deco district and to the islands on the Venetian Causeway. Secondly, you can go to the tropical Miami keys (try a key lime pie) and beautiful Naples on the Gulf of Mexico (visit sea turtles on Marco island or collect seashells on Sanibel island). My daily luxury: a turquoise bikini from Victoria’s Secret, Kopari‘s organic coconut oil is essential to hydrate summer beauties’ hair, skin and sandy feet, Dior Bronze will give you sun protection and a delicious scent, a bkr water bottle and Fiji water will keep you cool and hydrated from within. 💙 Shopping: you can find beautiful shops in Aventura mall, South Miami Beach, and the Japanese inspired outdoor mall the Falls. Also Naples is a chique place to shop. I love the spring-summer collections in white, sand and blue, for example Dream Angels lovely lace lingerie from Victoria’s Secret, knit dresses by Michael Kors, cotton off shoulder tops by Sea NY, and customized havaianas. 💙 Daily luxury_food: another thing you need to try in Miamii is the South-American cuisine. Try these nice restaurants, too: oceanside Nikki Beach, brunch at Sense beach house, sushi at Samurai, Italian at George’s, Cuban at Bongo’s. 💙 Beautiful places to go on an adventure outside of Miami are the Keys, Naples, and the Bahamas. Secondly, you can visit the Disney resorts, Seaworld and Universal Studios in Orlando. Photos and images by www.nickybianca.com and www.pinterest.com/nicky_bianca/ . 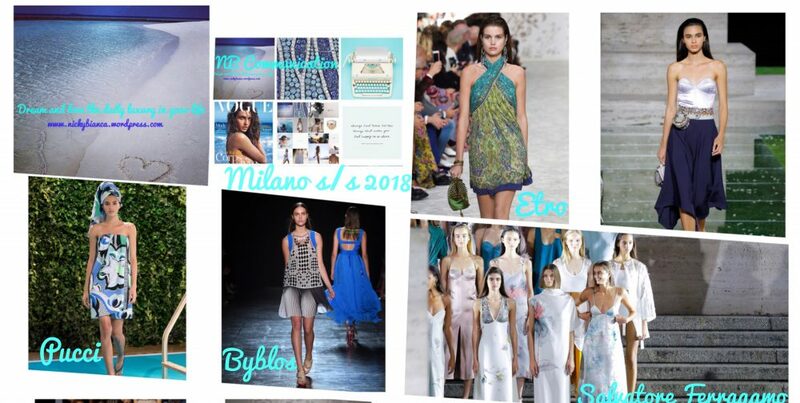 This entry was posted in travel and tagged Aventura, avocado springrolls, Bahamas, bikini, coconut, coconut oil, daily luxury, Dior bronze, Disney, Fiji, Florida, Havaianas, Jade Ocean, Kopari, Liu jo, Miami beach, Miamii, mybkr, Naples, Nicky Bianca, ocean soul, Orlando, patrizia pepe, Sanible island, sea turtles, Simon malls, summer, the Keys, travel, tropical, turquoise, twin-set, Victoria's secret by nickybianca. Bookmark the permalink.